Fast relief from the itchiness, redness and swelling of skin allergies and hayfever. 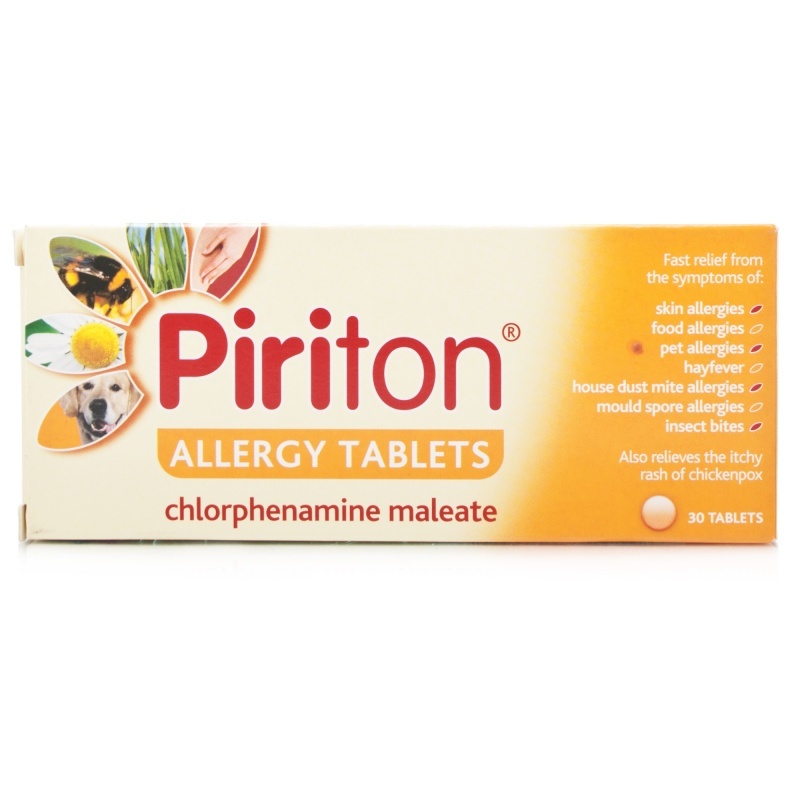 Piriton tablets are suitable for all seasons and give fast relief from nettle rash, hives, heat rash, prickly heat or dermatitis; reactions to food, food additives, medicines or insect bites; hayfever symptoms of the eyes and nose. 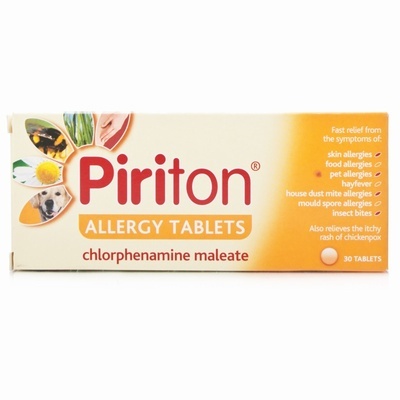 Piriton Allergy Tablets contain the active ingredient Chlorphenamine Maleate, Chlorphenamine belongs to a group of drugs called antihistamines which help relieve the symptoms of some allergies and itchy skin rashes. These tablets may cause drowsiness. Suitable for adults and children from 6 years.